My favorite purchase: spicy pickled heirloom cucumbers. 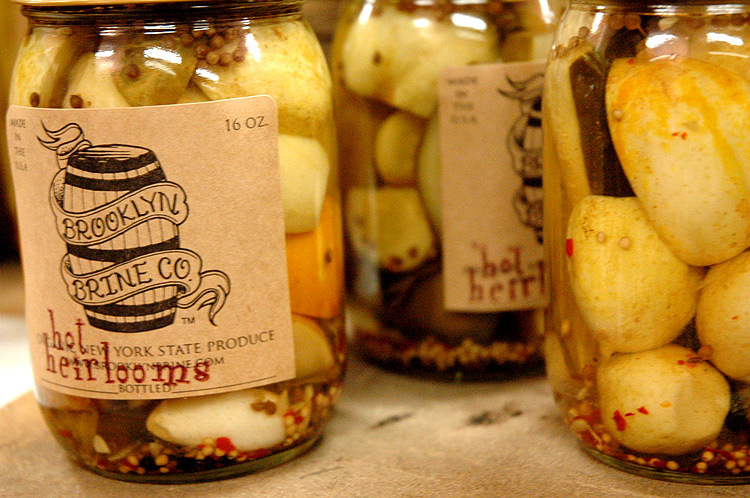 The company, Brooklyn Brine, is working on a whiskey barrel pickle that will be ready soon. 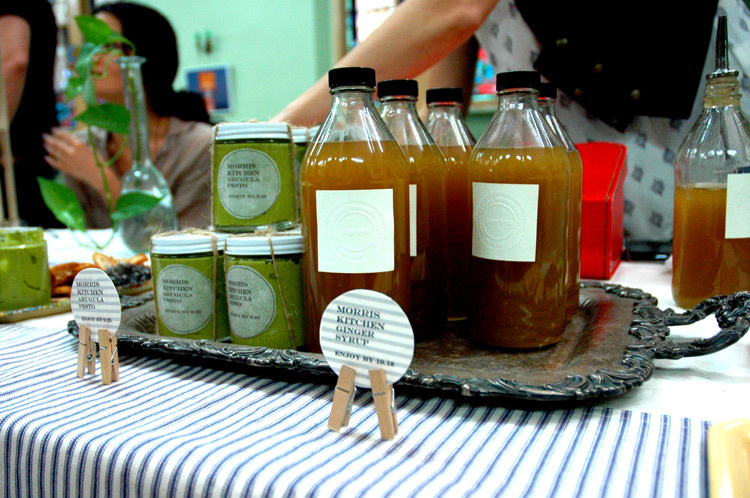 Delicious ginger syrup from Morris Kitchen that mixes well with seltzer and will be fantastic when I try it in some cocktail concoctions. 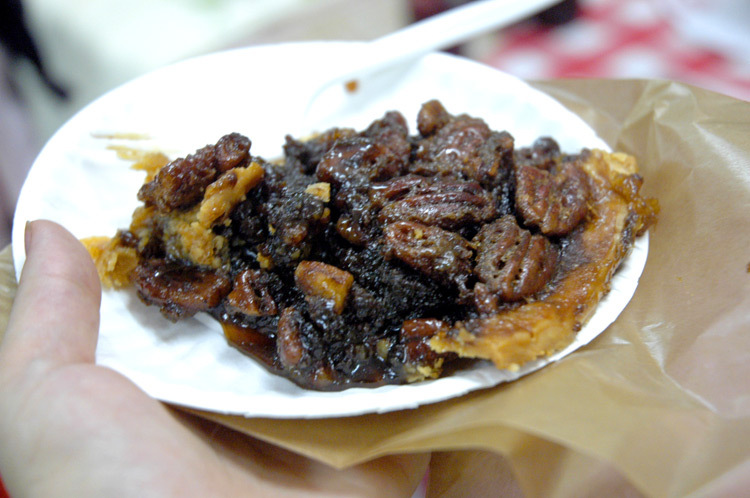 Sticky, yummy pecan pie from Dixie. 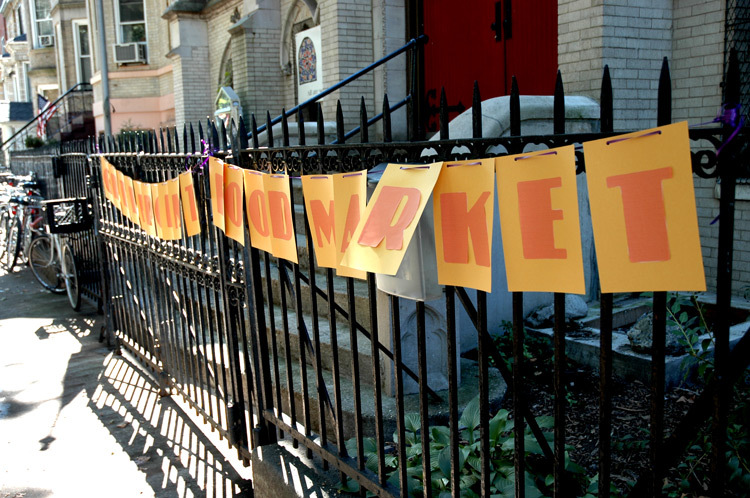 The welcome sign to The Greenpoint Food Market, a brand new local centric spot that launched last week near McGolrick Park. Open from noon to six every Saturday, the market has something for any food lover. Support local businesses!